Why should you choose Ipe for your project, be it a deck or floor for your home or business? 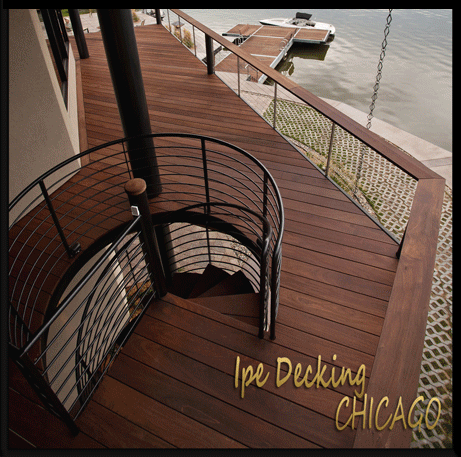 Ipe has benefits that make it the world's leading decking material. With resilience and distinct beauty, your Ipe deck or other project will stand up to the harsh climates of Chicago and resist problems such as termite and insect damage, mold caused by humidity, and deterioration caused by snow and hot summer UV degradation. Is it any wonder why architects and designers across the world feature Ipe Wood in many high-end homes and commercial builds? No matter where you live in Illinois— be it Chicago, Aurora, Rockford, Joliet, Naperville, Springfield, Peoria, North Peoria, Elgin or Waukegan—using high-grade Ipe decking is the best decision you could make for your deck or flooring project. Ipe hardwood, often mispelled, is also known or referenced by some as “Epay”, “Epi”, “Ipea”, “Epee”, or “Eepay”. Ipe (genus Tabebuia) is actually pronounced “EE-pay”. We purchase our Ipe from South America, encouraging responsible, sustainable and renewable forestry practices. Our lumber is Eco-Friendly and also LACEY Act Compliant. Your order of decking lumber is 100% guaranteed and backed by our limited warantee against rot. 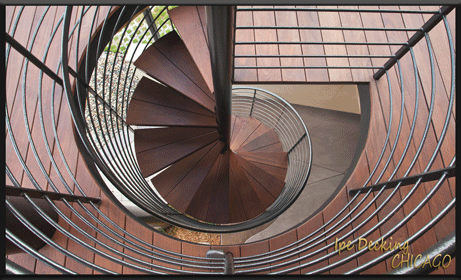 Ipe Decking of Chicago also sells Cumaru, Tigerwood, and Garapa decking. All of these boast traits similar to Ipe, but are available at a lower cost. Why Should You Buy Ipe from Us? With access to our solely owned and operated mills and wareshouses throughout the U.S., we are able to ship to your door or job site quickly and efficiently. © IpeDeckingChicago.com 2012–. All rights reserved.